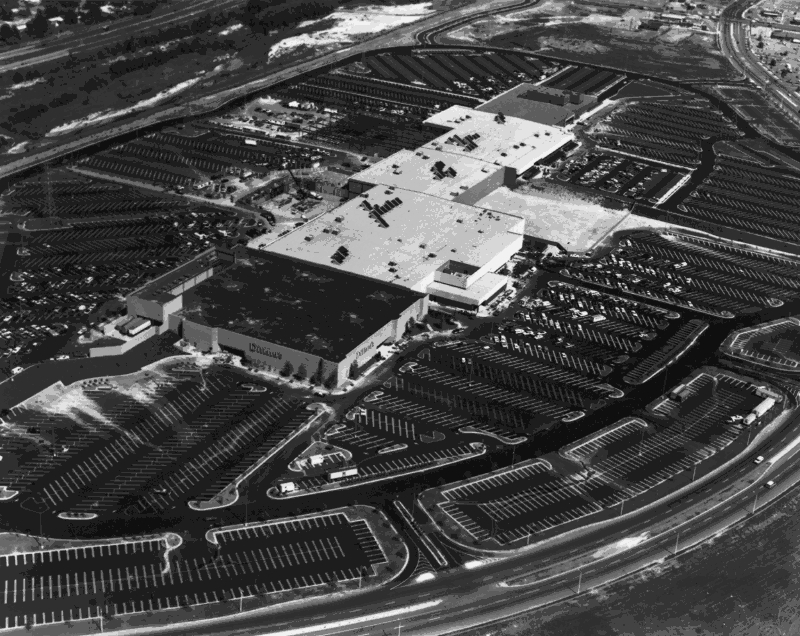 This photo of the Mall in better days shows that massive parking lots that surrounded the Mall. 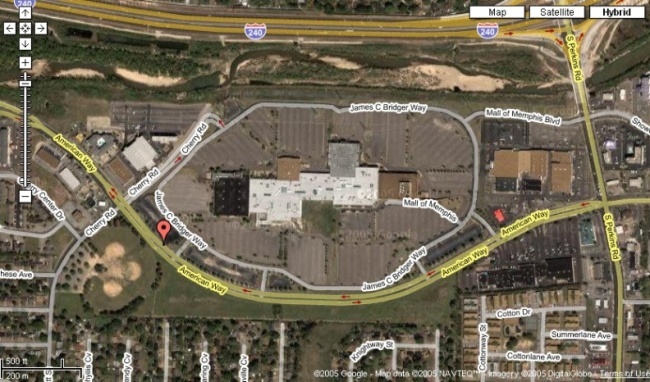 The date is unknown but there is snow on the ground and the outparcel where Toys-R-Us was later built is vacant. Thanks to Laura Cunningham from History Dept at the Main library for this pic. 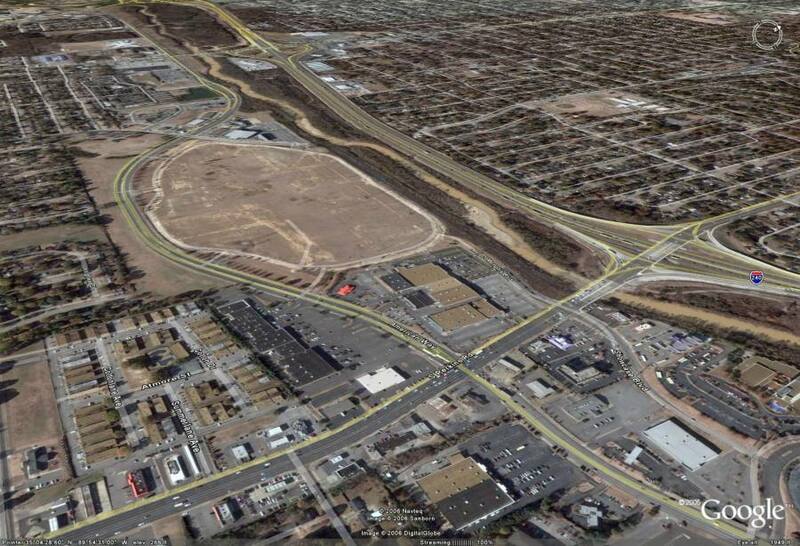 You can see from these pictures the complete 90 acre site of the Mall of Memphis (some reports put it at 95 acres). Surrounding the mall were hotels, strip shopping centers and restaurants. 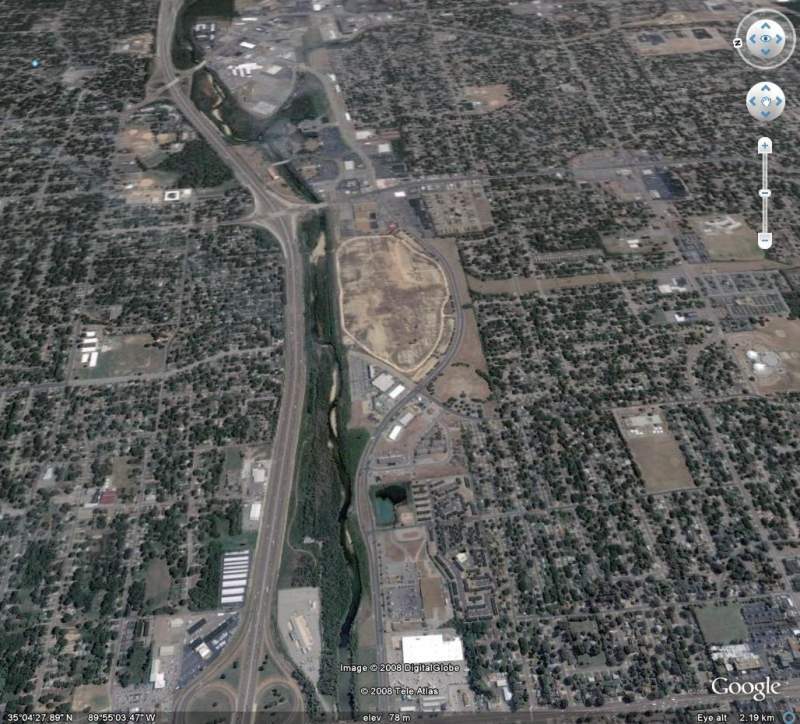 Interstate 240 is just across Nonconnah Creek from the parking lot. If you look close you can also see the high voltage powerlines that ran the length of the property, right through the parking lot. 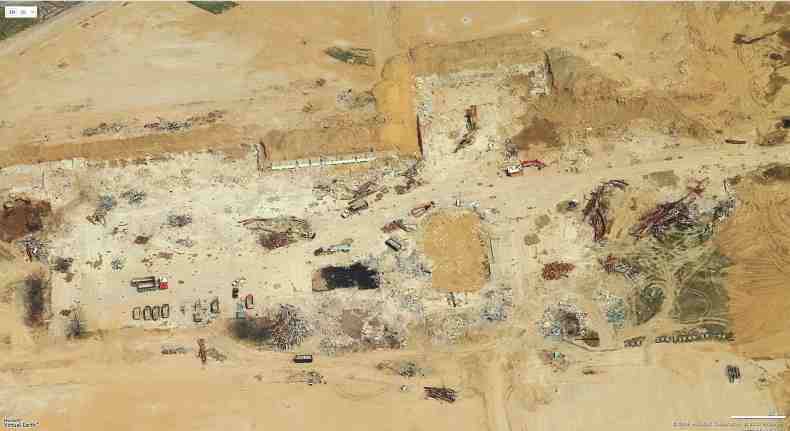 This picture from Microsoft Live shows the demolition complete and the equipment still working inside the malls footprint. 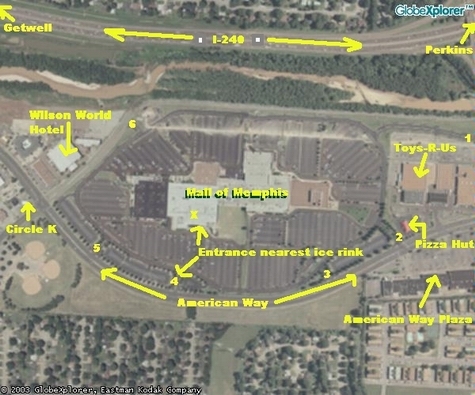 Note you can clearly see where Dillards, Service Merchandise ane the rounded shape of the Ice Chalet Rink. A more recent view shows that the mall is but a memory now. 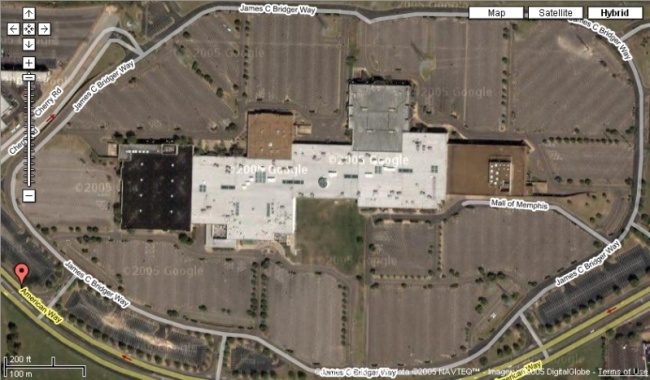 Millions of dollars spent building the mall, remodeling the mall and in the end, destoying the mall. 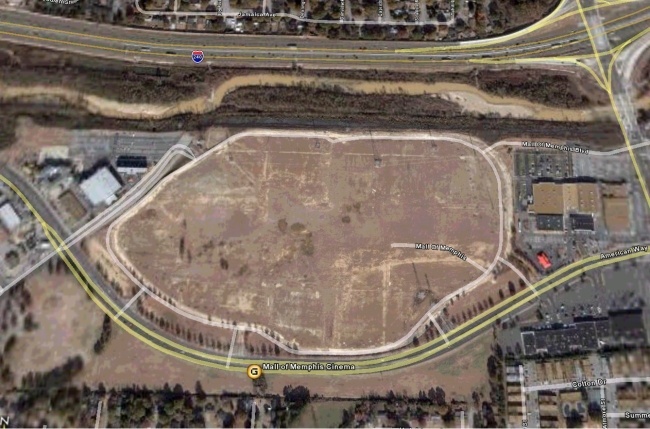 At one time, this 90 acre patch of grass hosted 250,000 visitors a month.